1. Start with a high ponytail. 3. Wrap the ponytail to desired shape. 4. Get Hair pins and pin in place. 5. Add a headband for some style. 1. start with a ponytail. 2. separate the hair into two sections. 3. With the sections separated, bring a small section of hair from the back of the right section and add it to the front of the left section. Do the same from the left side. 4. 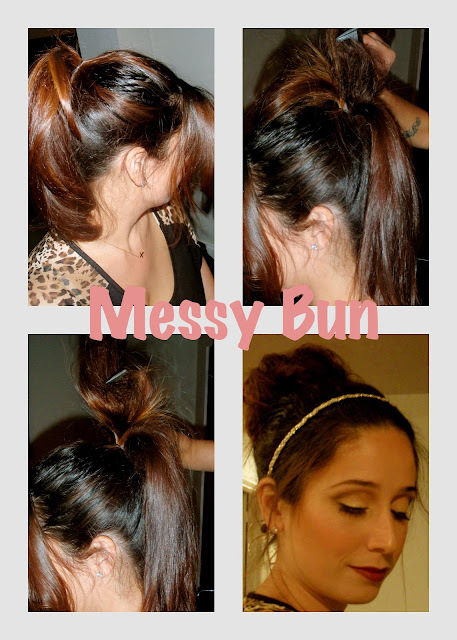 Continue bringing small sections of hair from the back of the two sections until you reach the bottom of the ponytail. 5. Secure it with a hair tie and your are done. Several days ago, I got together with a talented, talented friend and two other beautiful girlfriends and produced a little something special just for you! Sandy Lee Alvarez a Miami-based Hair Stylist and Make-Up Artist who has dolled up the faces of several leading ladies in Miami provided her services to bring you tutorials on how to do some of the trending hair and make-up styles for spring 2012. 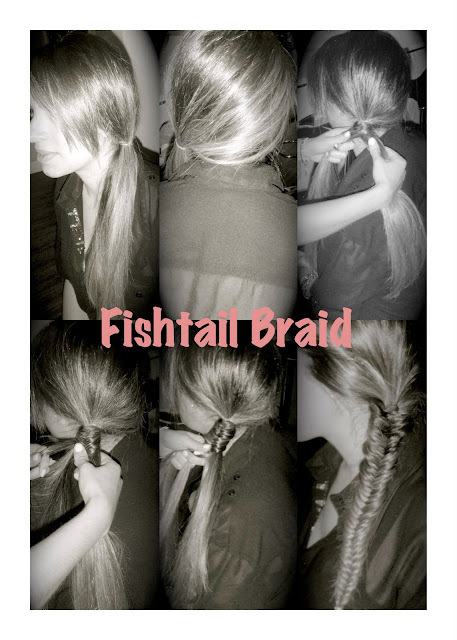 Here are two photos that teach you how to do the fishtail and the messy bun two hair styles that are going to be sported in spring. To see the make-up tutorials visit Sandy’s blog here. But not only did we want to give you ideas and tutorials we wanted to reward you for being our readers. See wasting time on our blogs pays off! So here the deal, Sandy Lee so graciously will be providing her talents to one of you – we are giving away a make-up session with her to one lucky winner! Now you are excited right…we got your full attention now I am sure! 3. Like Sandy Lee Alvarez facebook page here. Deadline to enter the giveaway is February 9, 2012 and we will announce the winner on Friday February 10, 2012. *Winner will be picked at random.